Mayoral hopeful David Garbett highlights air pollution, homelessness and affordable housing as topics he plans to tackle. The race for Salt Lake City mayor just got more cramped. 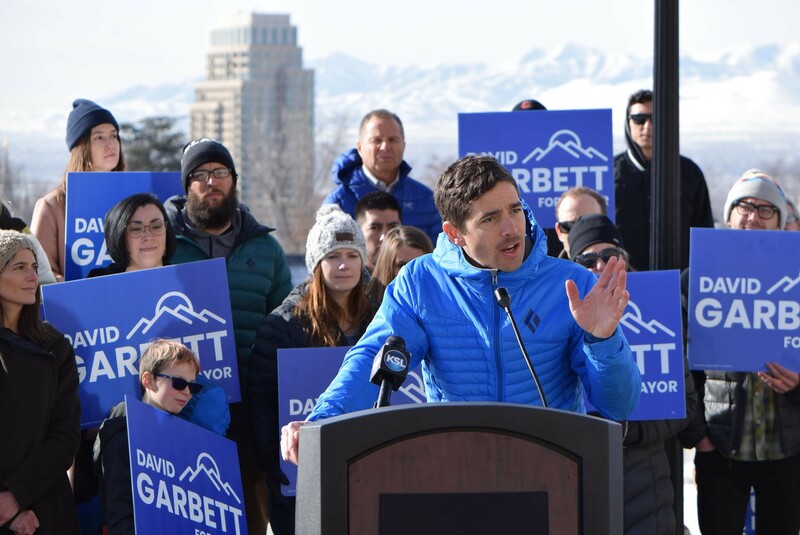 On Tuesday outside the Capitol, local attorney David Garbett kicked off his mayoral campaign highlighting major issues the city faces such as affordable housing, homelessness and air quality. Garbett said that in his first year in office, he wants to establish a plan for “how to get to clean air and stop placing our kids, our loved ones and ourselves at risk.” He also said he thinks the city can speed up its timeline to switch to 100 percent clean and renewable energy within as little as four years instead of a previously determined 2032 deadline. Garbett, who worked as an attorney with the Southern Utah Wilderness Alliance for 10 years, served as executive director of the Pioneer Park Coalition for the past two years and has most recently been a special projects leader at Garbett Homes (owned by his father, Bryson), initially threw his name in the ring last week with an announcement posted on YouTube. He joins an already crowded mayoral field that includes incumbent Mayor Jackie Biskupski, former Sen. Jim Dabakis, former Salt Lake City Councilman Stan Penfold, businessman David Ibarra, freelance journalist Richard Goldberger and city resident Aaron Johnson. 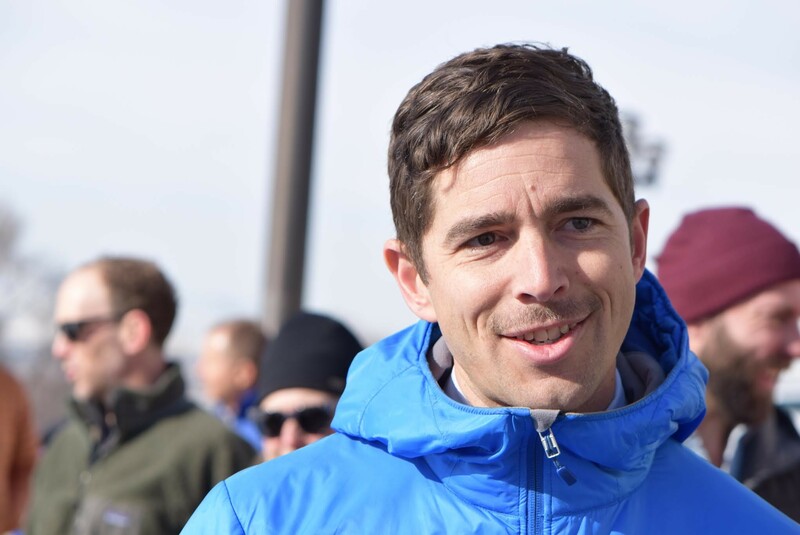 A recent poll conducted by The Salt Lake Tribune and the Hinckley Institute of Politics placed Garbett near the bottom of the candidate list. It showed Dabakis leading with support from 26 percent of respondents, 12 percentage points ahead of Biskupski. It also found Penfold and Sen. Luz Escamilla, D-Salt Lake City, receiving support from 6 percent of respondents. Ibarra earned 3 percent and Garbett, 2 percent. Standing in front of nearly 40 friends and family near the south steps, Garbett highlighted changes happening to homelessness and affordable housing around the city that he wants to address. “One of the key undertakings of my administration will be to develop benchmarks so that we can say whether we are actually helping or hurting homelessness,” he said. “I know he does this because he not only loves the natural world that makes living here so wonderful, but he also understands that it’s important to the people of Salt Lake City that he cares deeply about,” Robison said. The top two candidates in the August primary will advance to November’s general election.